Zimbra, a fairly new player in the desktop e-mail services, has been doing really well, particularly over the past few years. Having to go up against IT giants such as Google and Microsoft, Zimbra’s team is putting everything possible out there to appease it’s fast-growing customer base. Zimbra is well-known for offering better enterprise-grade features than Google. Zimbra offers best-of-breed email capabilities such as search-based inbox, support for folders, conversations and taggings. In addition, it also offers efficient management of large inboxes. Users will also find an advanced web-based calendar in Zimbra Collaboration Suite with features such as easy sharing, full delegation, free look up, resources, and many more. Google, on the other hand, lacks key e-mail and calendar features such as contact sharing, public folders and delegated access. In addition, Gmail has limited drag-and-drop capabilities. Google users don’t get full support for outlook, one of the most important facets of Google. It is not possible to rebrand the UI of Google to the full extent. Zimbra, on the other hand, offers all out offline support and other remarkable features such as ‘over the air’ mobile sync. Zimbra enables smooth integration with third party apps, whereas Google’s “Gadgets” are not easily adaptable to them. Zimbra meets all expectations of enterprise support, while Google doesn’t even provide phone support for any issue other than reporting outages. Must read – Why Zimbra Collaboration Suite is the best option? Google is a free-for-all online giant. All of its services are available through the web. In other words, Google only offers hosted services. Zimbra, on the other hand, offers both hosted and onpremise services. Google offers only a single admin control for all users, while Zimbra gives control for different classes of service users. Zimbra offers more control to its customers over their data, when it comes to critical features such as storage and privacy. In short, Zimbra provides deployment flexibility, better customer support and runs the mail services through a simplified administration. Google deals with so many users and so much money that it is essentially impossible for it to reveal crucial data about itself such as the size of its database and total number of paying customers. No such bottlenecks with Zimbra; they are open about facts such as their 60,000 paying customers and 60M + total end users. As Google is basically a search engine giant, its focus is on entirely different matter. Zimbra takes pride in providing enterprise-grade email solutions, while email services of Google is not its main business. We mentioned this earlier too; Zimbra offers a better mobile support. 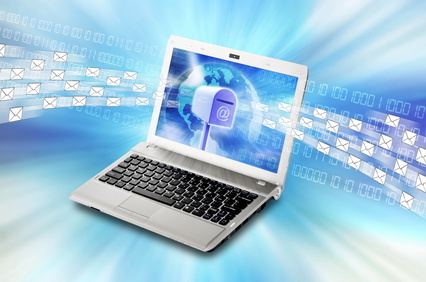 The email service provides a 2-way sync of mail, task calendars and other crucial features. In addition, zimbra is more search-friendly and easily manageable on mobile devices. Easy device support of Zimbra scores over the inconsistent admin controls of Google that complicate deployment in multiple devices. Google can’t support many features of iPhone that Zimbra can with ease. Finally, with Zimbra, users can view global address list, directories, and configure settings really easily, compared to Google. The features mentioned above are the the main reasons why Zimbra presents more of an edge to its customers in comparison to Google. In light of the fact that Zimbra was essentially designed for official use, most people who gain from its services are office staff. If you want to learn more about Zimbra collaboration, get in touch with our representatives by calling at +91-120-466 3031.